This the 3rd in a series of butterfly swaps. Typically, short-term interest rates tend to move faster than long-term rates. 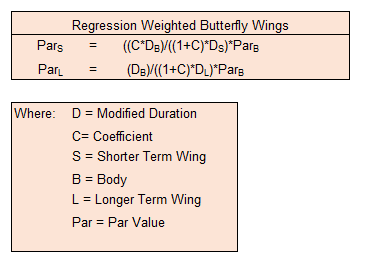 In order to adapt the butterfly weightings to compensate for this, a regression coefficient is needed. 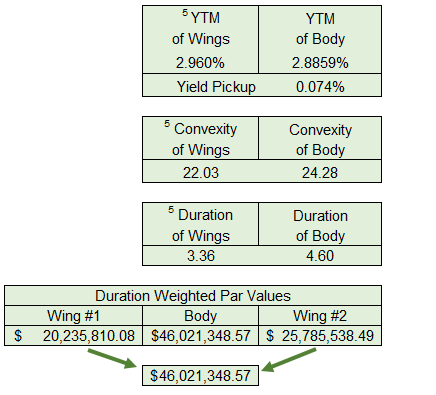 On the sheet called coefficient, I calculated the spreads between the Body minus the short Wing and the long Wing minus the Body on a daily basis over the last 5 years. Then with Excel’s built in regression analysis, I calculated the coefficient between the two spreads. Then using the formula below, I calculated the new weightings of the two Wings. 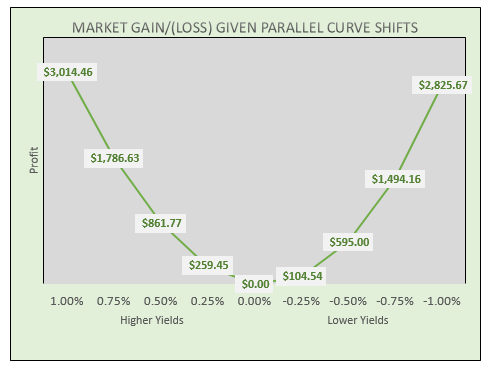 An advantage of the regression weighting, rather than the fifty-fifty ( both of which are not cash neutral) is that the initial cost of the swap can be reduced. 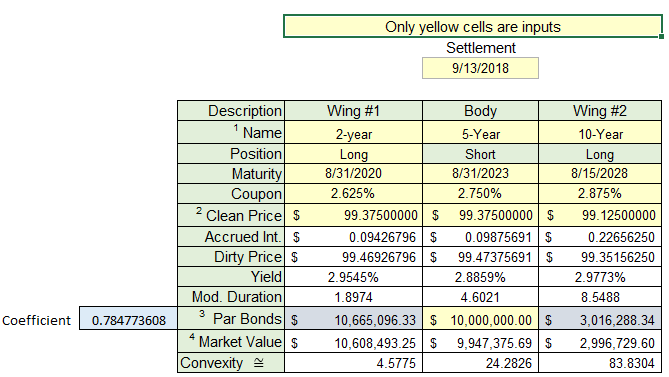 Using my default bond data, the fifty-fifty swap required borrowing $4,790,064, while the regression weighted swap required only $3,657,847. If the number one is substituted for the calculated coefficient, the weighting become the same as the fifty-fifty butterfly swap.